An early and bright medley of single and double orange, gold, yellow and cream-colored flowers. 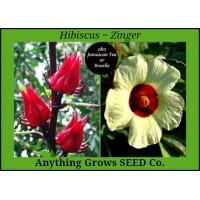 Well-branched plants with tall, straight stems great for cutting, with continuous blooms all summer. Fresh edible petals are beautiful in salads and as cake decorations. 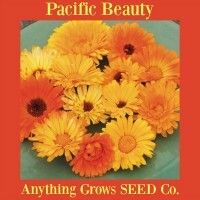 Also known as pot marigold. Prefers cool conditions. 12-24" tall. Annual .. Bright shades of red, orange, salmon and yellow add a bright splash of color to your landscape. 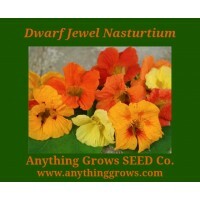 These mounding, dwarf (6-12") Nasturtiums are compact plants and fit almost anywhere. With a flavor similar to watercress, Dwarf Jewel adds color and taste to salads. .. 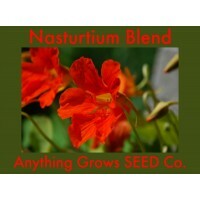 This is a blend of trailing Nasturtiums. Attractive, sunny mix of yellow, orange, rose & crimson flowers on trailing plants. Delicate lily pad-like leaves are just as attractive as the bright flowers. 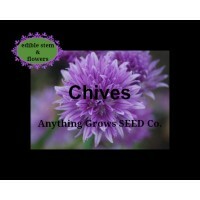 Edible flowers and foliage are a gourmet treat with flavor reminiscent of peppery watercress. 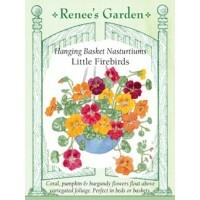 Perfect for hanging baskets, containers or in the garden. Vines grow to 10' long · Edible flowers and foliage · Annual (Trapaeolum majus). Maturity 60 days. ..
(Tropaeolum majus) These charming variegated nasturtiums have lovely lily-pad leaves whose cream and green striped markings make a wonderful color accent in the garden. The highly ornamental foliage is covered with pert, spurred flowers in bright gold, cheery orange, rich mahogany and salmon. Softly mounding, compact Alaska is an especially striking edging for flowerbeds or borders to contrast with green leaved plants. 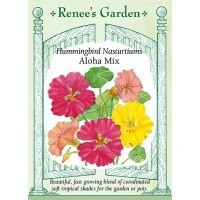 An attractive choice for showy patio containers, hanging baskets and windo..
Renee's EXCLUSIVE - Aloha Mix is blend of soft tropical shades including apricot, cream, soft yellow and rose. These pretty blossoms atop lily pad-shaped leaves make a lovely garden tapestry. Aloha Mix grows readily in pots or window boxes, or plant in garden beds to softly drape and cover bare spots or fill in borders. Both flowers and leaves of nasturtiums are edible with a spicy flavor like watercress. 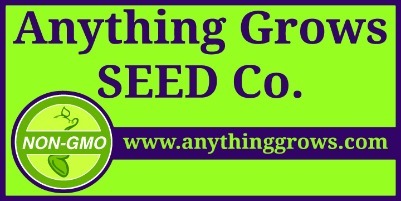 They make tasty additions to salads or sandwiches. Approx. 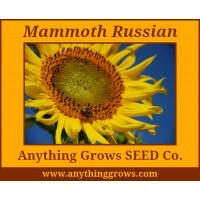 43 seeds/pack. Mature h..
(Tropaeolum majus) EXCLUSIVE - These vibrant cherry-rose colored nasturtiums are a special treat in the garden. Cherries Jubilee's soft, lipstick-colored flowers shade from light to deep rosy-red, a very unique hue for nasturtiums. These delicious blossoms glow in profusion above a sea of highly ornamental blue-green, lily-pad-shaped leaves. The free-flowering plants have a mounding habit, perfect to fill and soften garden beds or corners, cover bare spots, or cascade gracefully from your f..
(Tropaeolum majus) Renee's EXCLUSIVE - This beautiful new trailing nasturtium offers a stunning cascade of color perfect for hanging baskets, window boxes or containers of any size. Firebird’s deep burgundy, warm pumpkin and rich coral colored blossoms float in striking contrast over lovely variegated lily-pad shaped leaves. 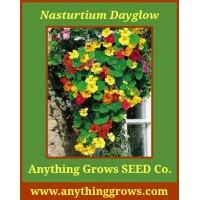 Use these stunning nasturtiums to ignite your patio or walkway with color all summer long. Firebird’s edible blossoms taste like watercress with a hint ..
A spectacular trailing nasturtium for all your baskets and patio containers, where it will produce a colourful cascade of vibrant 'dayglow' blooms throughout the summer. Lovely mixed with other hanging basket plants. Edible flowers & leaves! Peppery & delicious. ..
A perfect choice for the forgetful gardener, these smooth delights require little attention. They're fetching in swaths of color with other Nasturtium varieties, or mixed in a border or container as a bold color statement. 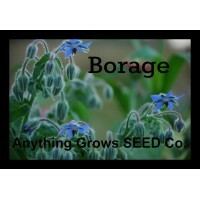 Blooms can be added to your favorite salad and the pungent seeds can replace pepper in your pepper mill. 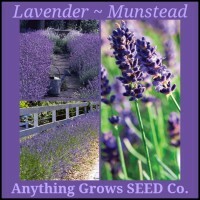 Easy to grow and prefers poor soil. 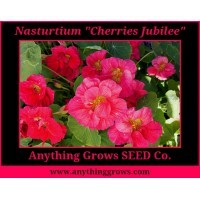 This wonderful nasturtium has brilliant crimson red flowers 5-7.5 cm (2-3") across. With its low growth hab..